Shwe Taung Building Materials is the leader in building materials in Myanmar. We manufacture and supply high quality cement, concrete and related services throughout the country. 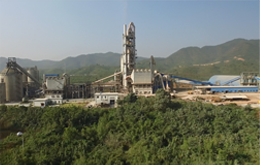 Our core activities include quarrying for cement raw materials, manufacturing and distributing cement as well as providing a wide range of high quality ready mix concrete products and related services. Our two trade brands are Apache Cement and High Tech Concrete. We are committed to adopting sustainable business practices. These include developing environmentally friendly product technologies that consume less energy, reduce pollution and sustain resources. We are the first ISO (9001:2000) certified company in the ready-mixed concrete industry in Myanmar. Shwe Taung Building Materials is committed to providing consistently high quality building materials and related services to the Myanmar market. 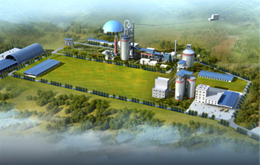 Shwe Taung Cement Company Limited, part of Shwe Taung Building Materials and managed by Kyaw Naing Soe , is undertaking a brownfield expansion of its cement plant in Pyi Nyaung Village, Thazi Township, Mandalay. The project involves a USD15 million equity investment and a USD20 million loan from IFC. IFC will also provide support to mobilise additional debt and equity for the company. Please refer to the Summary of Investment Information and Environmental & Social Review Summary below for more details.